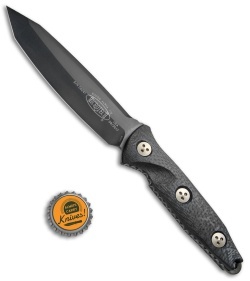 This production version of the Microtech Socom Alpha features a carbon fiber handle. 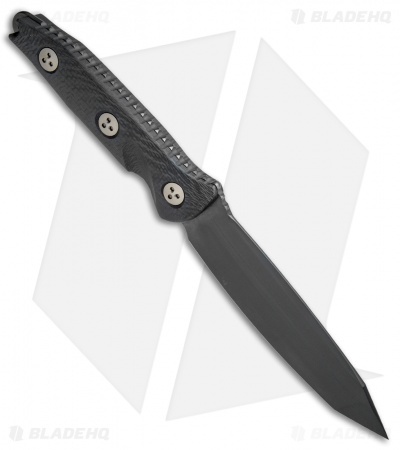 The blade comes in a tanto style with a black DLC finish. The Microtech Socom Alpha is a fixed blade knife styled after the popular Microtech Socom folder. 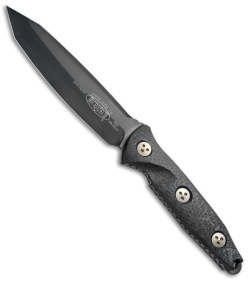 This knife has a full-tang Elmax steel clip point blade. The full-tang blade features notches around the perimeter for a secure grip. The front side of the hollow ground blade is marked with the Microtech logo. 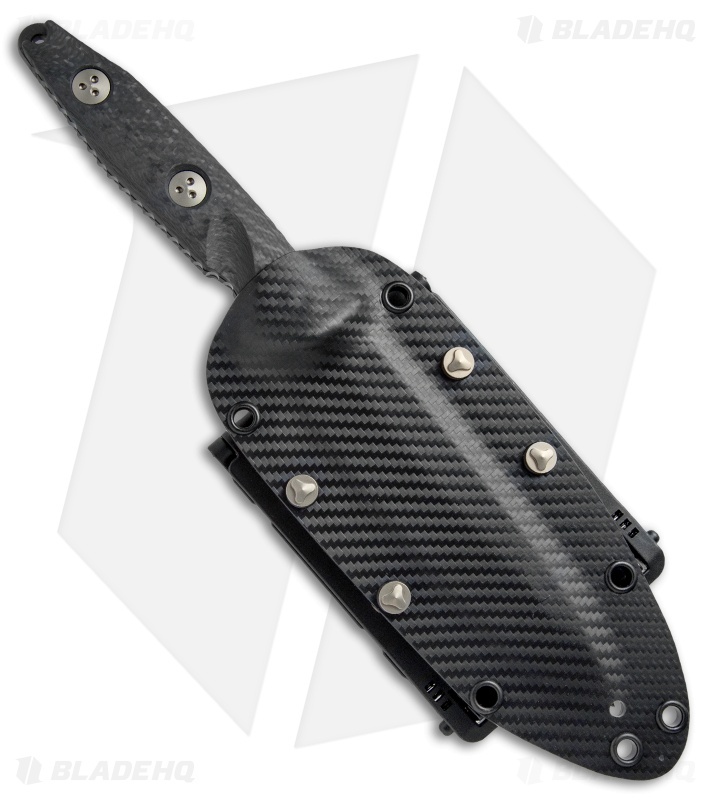 Item includes a kydex sheath with a carbon fiber laminate.